Titus the badger, Finn the falcon, and Shylow the fox are as different as three friends can be. But they all share the same love of sailing. One day they are dumbfounded when they stop their boat for a picnic – and their food appears to walk away on its own! The problem is solved as they realize that the culprits are tiny ants, and after some royal interference by the queen of the ants a compromise is reached. However, Wendy, one of the ants, is unhappy with her ant-like existence and wants to be different. Everything seems boring to her. Then Finn has an idea. However, he does not know what the outcome will be. Discover what happens when Wendy valiantly tries to assert her individuality. A Very Special Ant is a children’s picture book beautifully illustrated by Tanya Maneki. If you and your children like courageous animals, funny encounters, and “special” creativity, then you’ll both love this charming story. 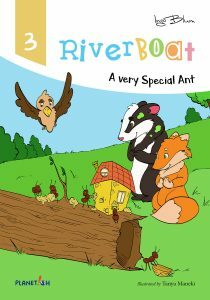 Buy A Very Special Ant to set sail for another fun-filled tale of friendship, creativity and adventure on Amazon today! Ingo Blum is a German author and comedian. 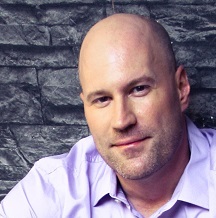 His journey to becoming a children’s book author began during his day job. He has always enjoyed projects where he could create artwork for kids. Eventually, he became a writer and graphic designer in the evenings – and started writing children’s stories to accompany these projects for fun. With some encouragement from his friends and family (and a lot of kids! ), he decided to share his stories with the world.